We are the largest manufacturer & supplier of Reticulated Filter Foam fo various application. This foam has 100% open cells made by thermal reticulation process.The foam blocks are placed inside high pressure reticulation chamber for charging with gas to convert it in different PPI (pores per linear inch) depending upon the customer needs. Our reticulated foam is available in both Ester Ether. Ester based reticulated foam are stable with petroleum products and thus can be used effectively to mop-up and filter petroleum products. Ether based reticulated foam are not affected by water and thus are ideal for water filtration. Ester based automotive filters are technically superior than paper filters in terms of effeciency, life as well as reusability. Reticulated foam can act as a filter. 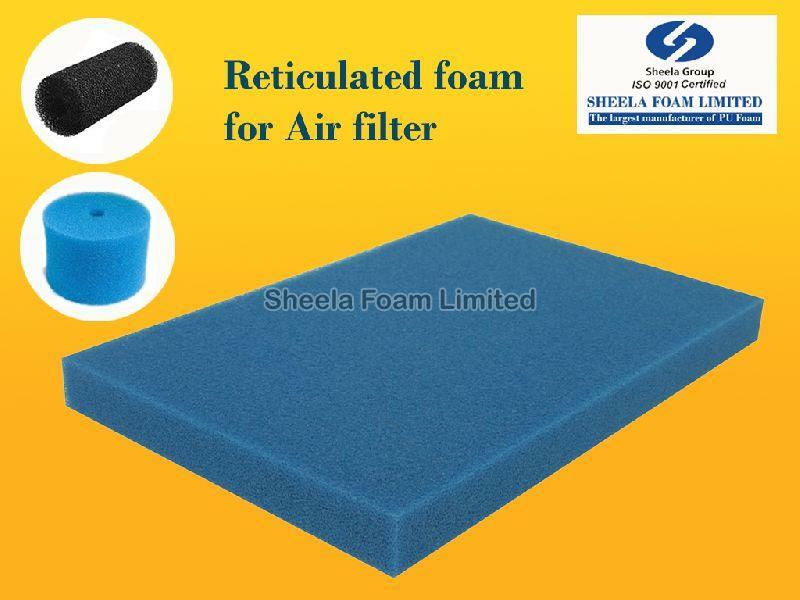 Filter foam is a reticulated polyurethane foam, specially adapted to air and liquid filtration, in a range of controlled cells from 10 pores per inch to 100 PPI. Filter foam, with a medium porosity 45 PPI works as a depth loading filter, opposed to a surface loading filter, trapping dust particles within its cell structure. Because the reticulation process leaves behind the skeletal structure of the foam it is 97% void volume giving it a high degree of surface area for impingement of dust particles. With its homogeneous and uniform cell structure, a reticulated foam filter can be engineered for pressure drop and filtering efficiency by changing its pore size. 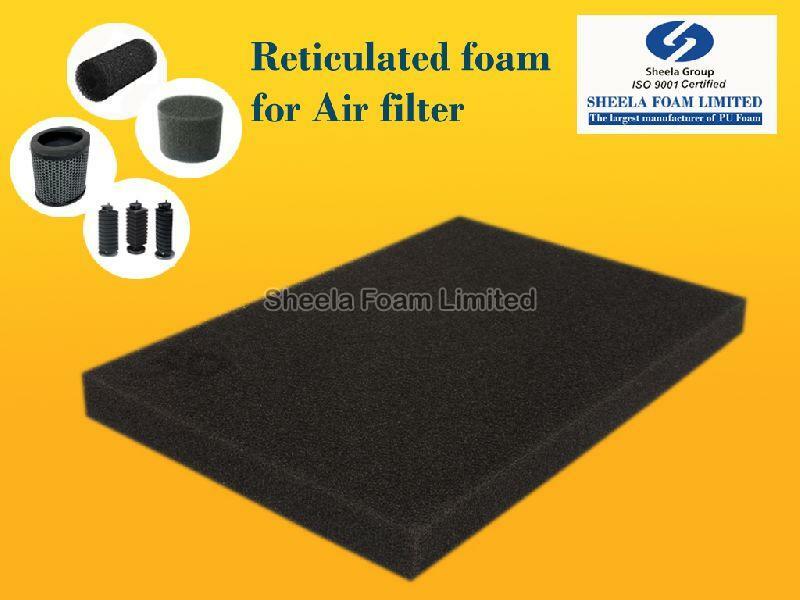 A coarse porosity, 10 PPI, reticulated foam is effective as a sound attenuator, scrubber pad, washable filtration media for air conditioners, furnaces, small engines and automobile air cleaners, plus many other applications. In order to ensure zero damage during transit, we have adopted modern facility for meticulously packaging our offerings. And, we also ensure that the used material is of high quality. Our main concern is to deliver top-of-the-line quality products and for this, we check the entire lot on several quality parameters.